With each passing day, football becomes a more connected game. Gone are the days, when fans would be unaware of what takes place on the other side of the world. Instead, with the availability of social platforms such as Twitter and Facebook, fans are more connected to the game than ever. As a result, those same fans display fierce loyalty in the virtual world, as they do in the real one. After all, a team’s Facebook page needs supporters too! And so, FOX Sports Asia, take a look at five Asian clubs with the highest social following. For this one, they are tracking Facebook, Twitter, and Instagram, as they are the most relevant social platforms for football and thus attract the highest percentage of fans. Coming in at number 5 is Indian Super League club, Kerala Blasters. As the name suggests, the team operates in Kochi, Kerala, and is one of the founding members of the ISL. Over the years, Kerala has seen several star attractions which in turn have increased the club’s stock. From David James to Dimitar Berbatov, some big names of the game have played in the Jawahar Lal Nehru Stadium. Adding more value to the Blasters’ is the fact that the team was, until recently, owned by perhaps India’s biggest sportsperson ever: Sachin Tendulkar. Nevertheless, the most dominant reason for Kerala’s social fan base is the fact that the club is based in a football-crazy region, which makes them the most popular Indian club, and the fifth most popular Asian club on the internet. And that too without ever winning the title! While Kerala Blasters was formed only recently, Persija’s roots have seeped into history for the past 90 years. Persija Jakarta was founded as VIJ Jakarta in the November of 1928 with motives that go beyond just football. Two years later, they help form the Perserikatam, ushering in a new age of Indonesian football. Persija would then go on to win the league 10 times, making them the most successful club in Indonesia. Although their last league title came 17 years ago in 2001, the club has still managed to retain a huge fanbase. A lot of those fans have, in turn, found a way to support their club via the internet as well, making Persija the fourth most popular, with the clubs Instagram account amassing 1.4 Million followers itself. ‘More than a club’ – Words that represent FC Barcelona and everything the Catalan club stands for. However, one may not know, that there is another club which lives by those words. Al-Ittihad of Jeddah, coming in at third, is the second most successful club in the history of the Saudi Arabian league. The ‘People’s club’ has won the trophy on no less than eight occasions, while also adding several domestic cup titles to their tally. Ittihad has also been successful continentally, with the Jeddah club winning the AFC Champions League twice. 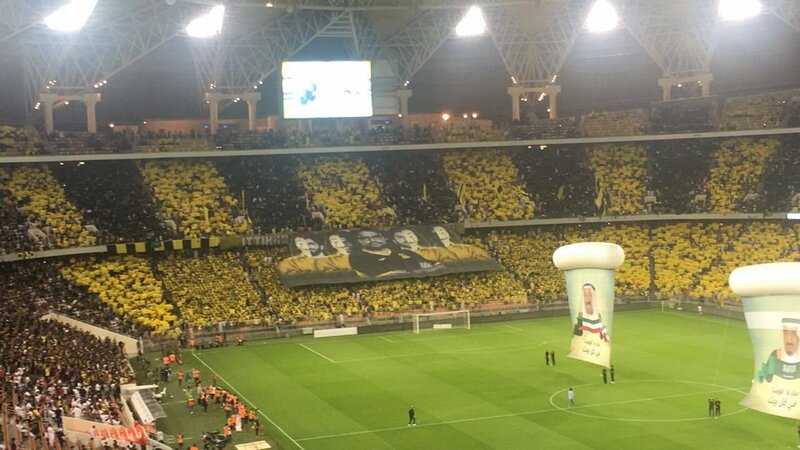 Over the years, Ittihad has amassed a massive following, accommodating them in a 60,000 seater stadium. They are also the second most popular Saudi club on social media with a following of 4.6 million! What’s more infuriating than being the second-best in any given field? Being second best to your rival! Unfortunately for Al-Ittihad, they have always been second to Riyadh-based Al-Hilal. The rivalry between the two clubs has truly captured what Saudi Arabian football is all about. However, as fs ar bragging rights go, Al Hilal are miles ahead. Not only are the Riyadh-based club the most successful domestic team, but they have also won numerous continental competitions. Al Hilal holds a record 6 Asian Football Confederation titles, winning two of AFC Champions League, Super Cup, and Cup Winners Cup each. As a result, they were voted the best Asian club of the 20th century by International Federation of Football History & Statistics. In terms of social media followers, Al Hilal can only make the second spot with a massive 11.3 Million following, with more than 80% of it coming via Twitter. 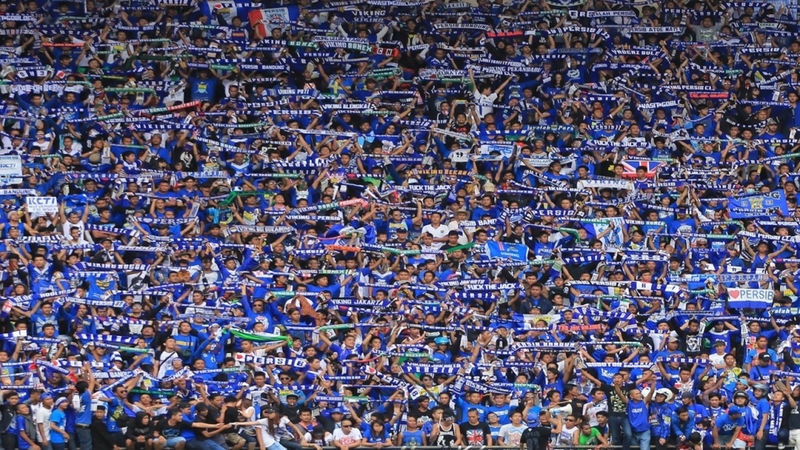 Coming in at first, with the biggest social media following is Indonesia’s Persib Bandung. The West Javan club has a staggering following of 15.4 Million with 9.7 Million followers coming via Facebook itself. A further 3.2 Million and 2.5 Million following on Twitter make them the most popular Asian club on social media. What’s even more staggering is the fact that the club has a following of around 5.3 to 5.5 Million all around Indonesia, which indicates that a lot of the social followers come from elsewhere. The reason for this can be traced back to Persib’s investment in players like Michael Essien and Carlton Cole, who have, in turn, help the Indonesian club gain international notoriety. However, in terms of club success, Persib does not have much to flaunt. They have been the second-best team in the country, in terms of Perserikatam (5) and Liga 1 (2) success and have only one President’s cup to their name.